” AmazonBooks ” Bookstore – Turknoy Travels 100! 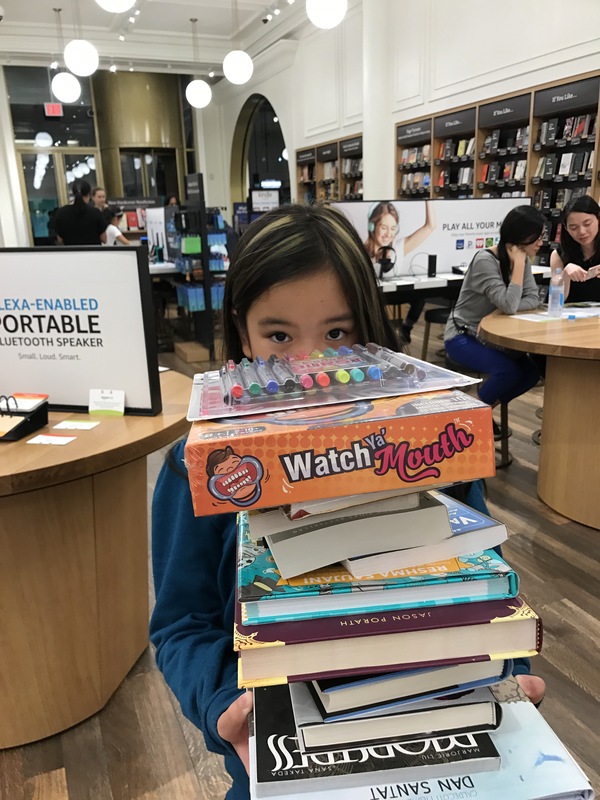 During our USA trip travel planning, we put Amazonbooks in our of our Things-Must-Do in New York. We didn’t realize that there are Amazonbooks across most of the major states. That’s awesome! 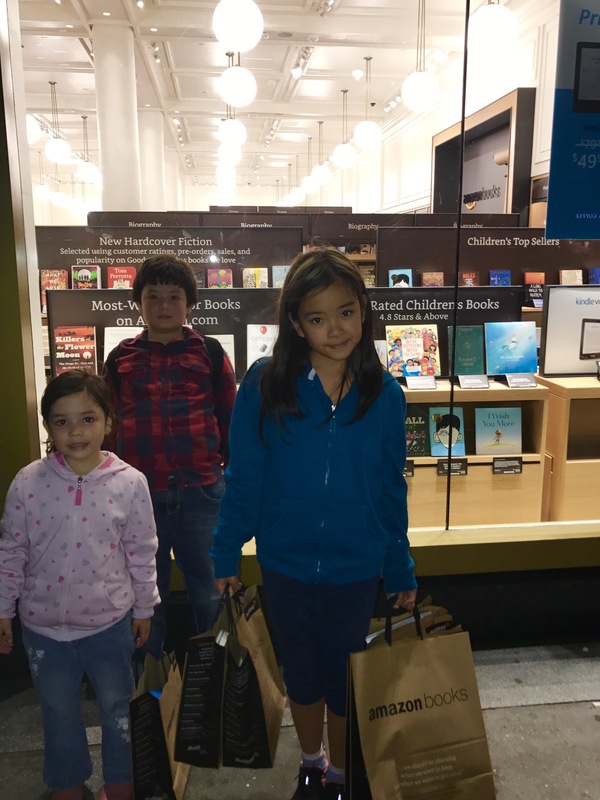 Did we enjoy the Amazonbooks bookshop experience. It’s like browsing online books with recommendations but better. 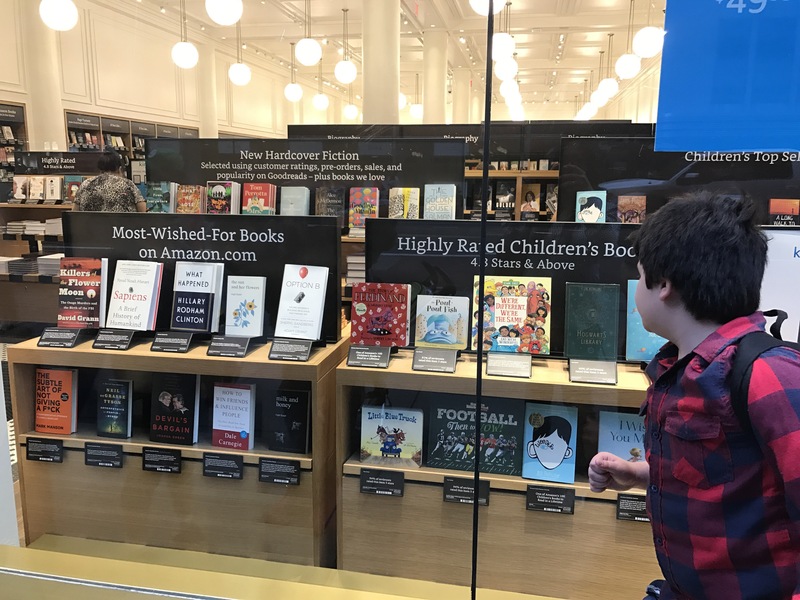 Better because we can actually smell and touch the books before buying. Better because we can actually walk to different bookshelves like clicking “You Might Also Like” recommendations. Better because the Amazonbooks staff are very friendly and accommodating. Better because there’s no shipping fee! Hurray! Better because Amazon Prime offers huge discount! There’s also Kindle area where the kids had a blast checking out online books. Inside Amazonbooks until almost closing time! That’s bookshop til we drop! Probably not the best bookstores we’ve been (sorry Amazon, but we try to visit bookstores in every country we explore and we’ve been to pretty amazing bookshops!) , but Amazonbooks is the most relatable to us. This Worldschooling family still buys all books online. 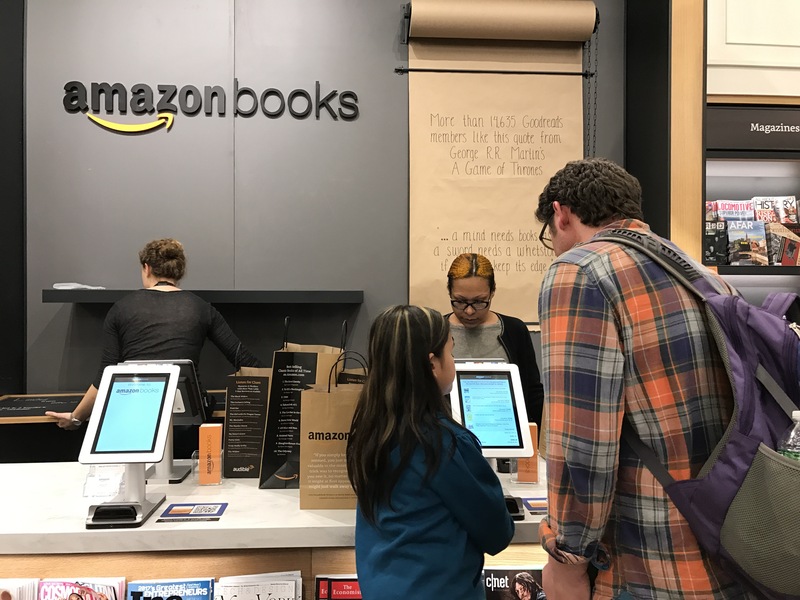 Would you visit Amazonbooks in a bookshop near you? Your family is so sweet! Can’t wait to see more of you! Thank you. We’ll definitely try to keep our family travel log up to date! I like to go in the bookstore. Uhm I didn’t even know this place existed!!! This will definitely be a must visit when we make out to New York! As you said, it might jot be the best bookshop but, I want to visit Amazon bookstores too! The only bookshop I love here in the Philippines is The Fully Booked. I have not visited any Amazon Bookstore yet, I would love to. We don’t have Amazon Bookstore here in the Ph right now, if they will have it here, we will visit. I think they’re checking out first if Amazonbooks will work out here in US. It does look promising, at least for booklovers who can’t embrace ebooks fully. I don’t know if Amazonbooks already existed when I visited New York a few years ago. I would have loved to visit it. We love bookstores. If there would be an Amazonbooks bookstores near me, I would definitely visit and buy books that I and my kids like!